Every summer, the town of Peabody, Massachusetts is serenaded with the familiar strains of “Yankee Doodle.” It’s the sweet sound of Allan Ganz’s ice cream truck. 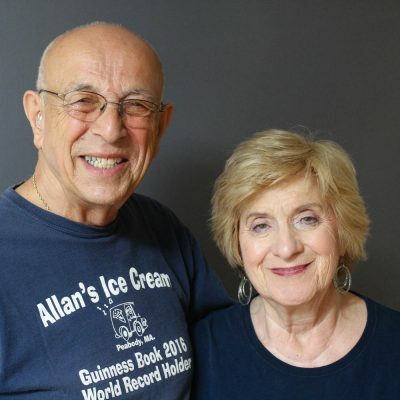 Ganz has worked as an ice cream man for more than seven decades. He only takes one day off per season. Over the years, he’s watched his customers grow up to become parents and even grandparents. The town loves him so much it has a street sign designating him “The King of Cool.” He came to StoryCorps with his wife, Rosalyn, to share the story of how his father got him started in the business over 70 years ago. Produced by StoryCorps. Originally aired July 27, 2018, on NPR’s Morning Edition.